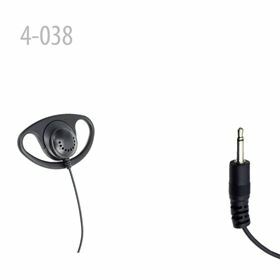 D Shape 3.5mm mono Earpiece- Listen only Soft rubber D shape earpiece for listen only applications. Loud and Clear. Comfortable for most users.